by Three Bears Lodge on May 27, 2010 Category: Did You Know? Do You Know What These Rhymes Have In Common? 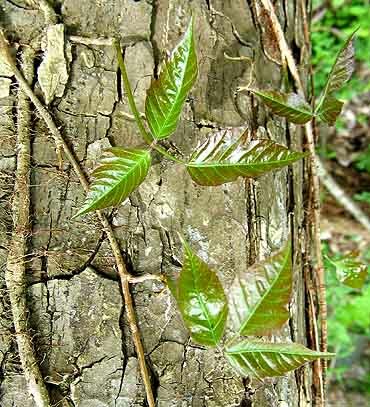 They remind us how to spot Poison Ivy and Poison Oak! All of these are useful rhymes which have certainly helped many a hiker escape painful exposure. 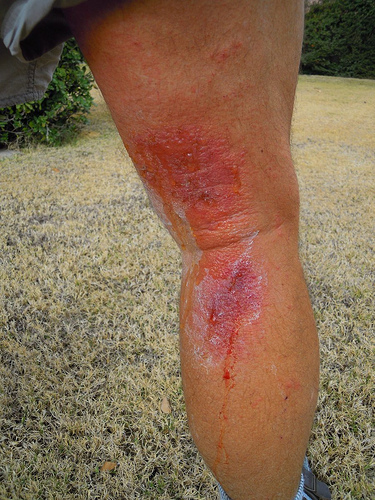 Itchy red rashes, swelling, even blistering- an innocent hike in the forest can have very uncomfortable consequences if you don’t know what to avoid. 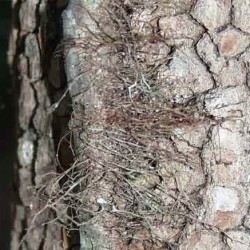 Even a slight brush against theses plants can result in a skin reaction. The toxin is easily transferred from one surface to another and will remain potent for years if not thoroughly cleaned (imagine your exposed dog running through your house!). Also, symptoms can take 24-48 hours or even up to a week to show up, particularly if its your first exposure! We recommend that you keep an eye out for these tell-tale signs to avoid contact! 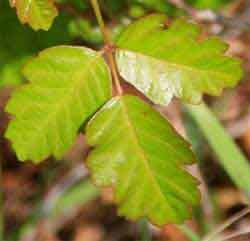 Poison ivy and poison oak have one very essential thing in common: urushiol. 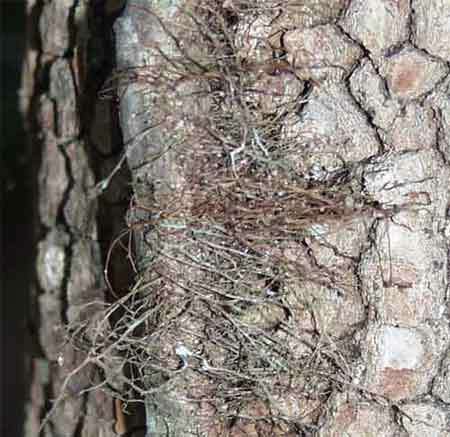 This sinister substance is an oil secreted from the leaves, vines, stems, and roots of both plants. Upon contact with your body, urushiol immediately forms a chemical bond to the skin and causes an almost unstoppable allergic reaction. 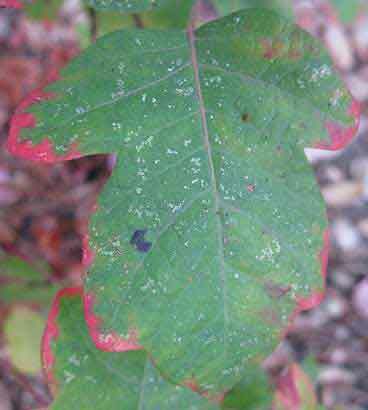 A fraction of the populace is unresponsive to the irritating resin, but don’t count on it: even an initial natural resistance to urushiol will eventually break down after repeated exposure from too many careless treks off the beaten path. 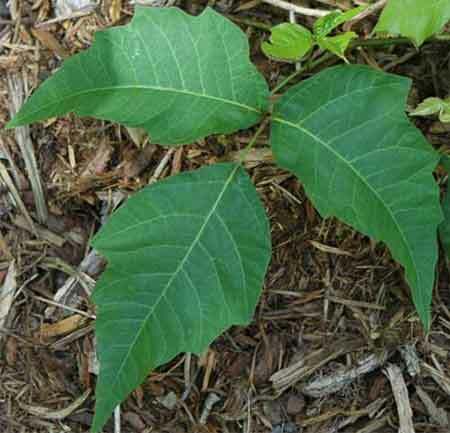 Caution: Smoke inhalation from burning Poison Ivy or Poison Oak can send you straight to the emergency room, avoid burning these plants at all costs! If you come into contact with either plant, the sooner you take care of it, the better. As the chemicals rub off your clothes onto other surfaces you run the risk of exposing yourself and spreading the oil. Urushiol is not water-soluble, so if you can, use rubbing alcohol or strong soap to cleanse the area of contact within the first ten minutes, then rinse off with cold water. As urushiol can remain active for years, you’ll want to wash any clothes, items, or furniture that may have come into contact with the invisible oily residue. If you don’t catch the exposure immediately, your only choice is to treat the resulting itchy rash and blisters as best you can. 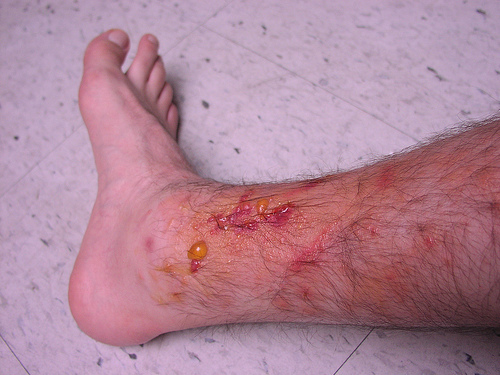 While there are countless home remedies to relieve itching and pain, standard treatment options include oatmeal baths, baking soda pastes, calamine lotion, aloe vera, and a number of commercial products designed specifically for Poison Ivy and Oak. 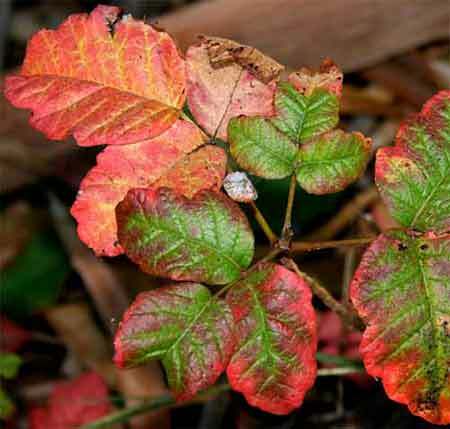 Of course, the best remedy is always prevention, so if you’re able to recognize and avoid poison ivy and poison oak, your experience in the mountains will feel the benefit! 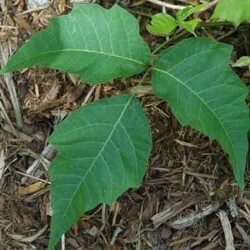 Still not afraid of Poison Ivy and Poison Oak? I have a couple questions… How long does it take the poison ivy rash to go away? How can I make it go away faster? Is there a way to get rid of the vine from our campsite? I get it about once a year and I have to get prednizone to get rid of it. But i got it three weeks ago and got a prescription of prednizone and I still have the rash. 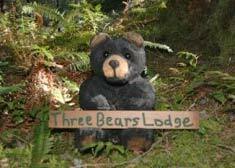 Previous post: National Parks vs. National Forests: What’s the Difference?